We work with many external bodies and within a regulatory framework, further information on a few is available below. The use of animals in United Kingdom scientific research is controlled by the Animals (Scientific Procedures) Act 1986 (ASPA) which is administered by the United Kingdom Home Office. Under ASPA, the premises in which experiments are carried out must be licensed as fit for purpose; the Establishment Licence. The staff performing the procedures must hold a Personal License, grant of which requires that they demonstrate that they are properly qualified and experienced. Sequani Limited is licensed under ASPA and, as such, is frequently inspected by a representative of the designated department of UK Government (Home Office). Sequani is committed to complying with the letter and spirit of ASPA and advocates ethical consideration for the use of animals for scientific purposes. All of our testing facilities are subject to regular compliance inspections by national authorities. 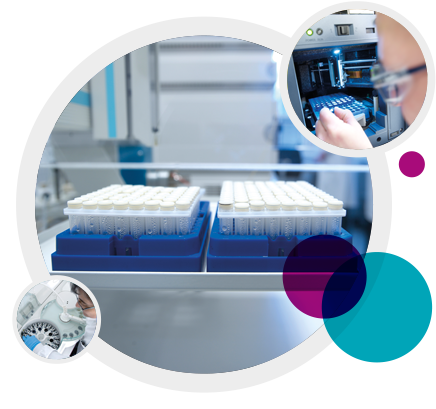 All good laboratory practice inspections are performed by the UK GLP Monitoring Authority which comes under the Medicines and Healthcare Products Regulatory Agency (MHRA) an executive agency of the UK Department of Health. Sequani has been a member of the UK GLP Compliance Programme since 1983. The most recent inspection took place in September 2015. A key part of our culture at Sequani is our commitment and dedication to providing the highest standards of animal care and welfare. We are fully accredited by the Association for Assessment and Accreditation of Laboratory Animal Care International (AAALAC, www.aaalac.org) accreditation was the first in Europe and was received in 1986 with reaccreditation at every subsequent visit and assessment. Sequani is listed in the directory of accredited companies section on the AAALAC website. As an Investor in People, we have a firm and clear commitment to the delivery of targeted, focused training which not only ensures the highest quality in our work, but also provides all our staff with excellent career development opportunities. We encourage further education and support staff to gain academic or vocational qualifications. We were first awarded Investor in People status in 1999 with re accreditation at every reassessment, attaining the enhanced bronze level in 2011 with re accreditation at reassessment and then silver level for generation 6 in 2017.